Necessity breeds innovation, or so they say. 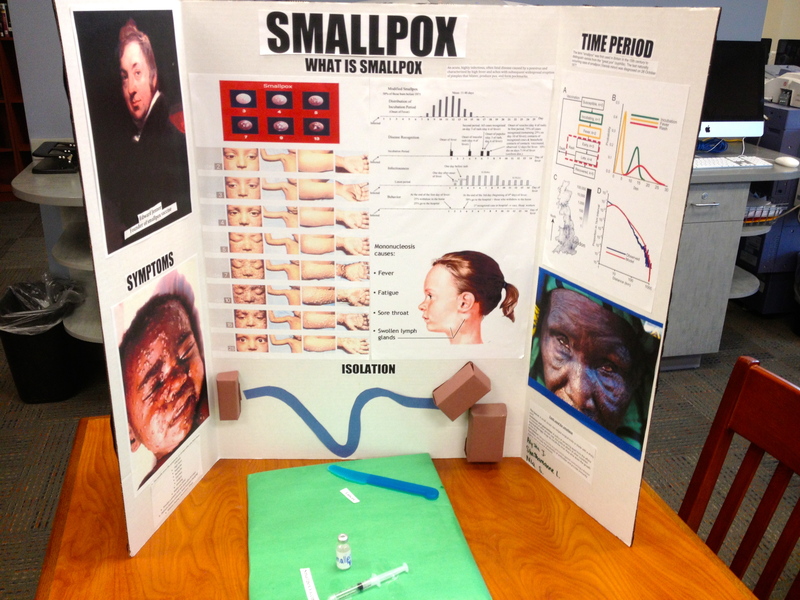 About this time last year I was asked to develop a public health course to be run this spring. As a teacher, the ask was one of those moments where you step back and pinch yourself! Most teachers don't get the opportunity to create their own curriculum, much less write a full course with very little restriction. So, as I began to research and conceive of this course in public health, I realized that disease has driven many of the great transitions or advances seen in history. Thus, I titled the course Disease and Society. My intent was to compose a course centered on Problem Based Learning. 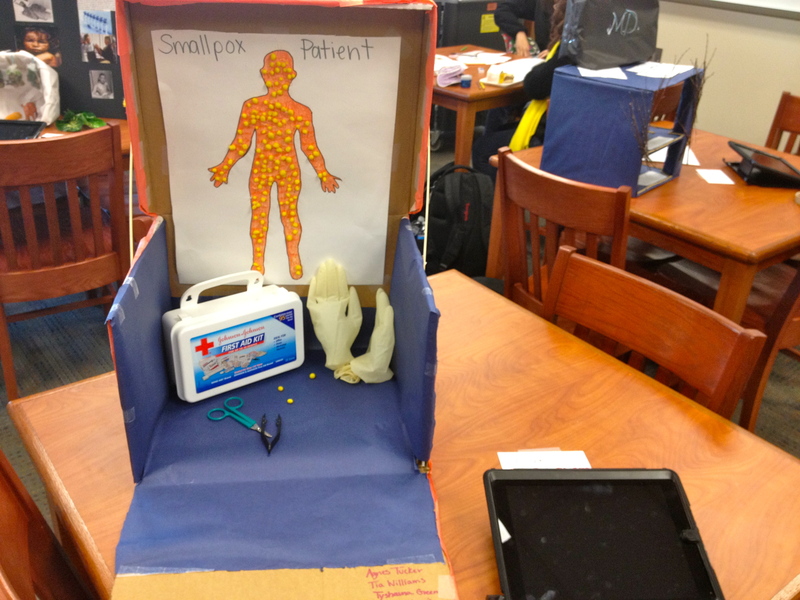 This approach provides the students with a question and asks them to develop a solution. Much of the responsibility for learning is actually placed on the student. This realigning of responsibility has lead to some very interesting class dynamics. It's been really fun to watch the students explore the bounds of their bounds. I've been very impressed as they have learned to work with new people, have been brave enough to explore new technologies, and have sought to draw connections between disease and their experience of the world. As we near the halfway point of this class I am eager to see what comes out of the next 9 weeks. 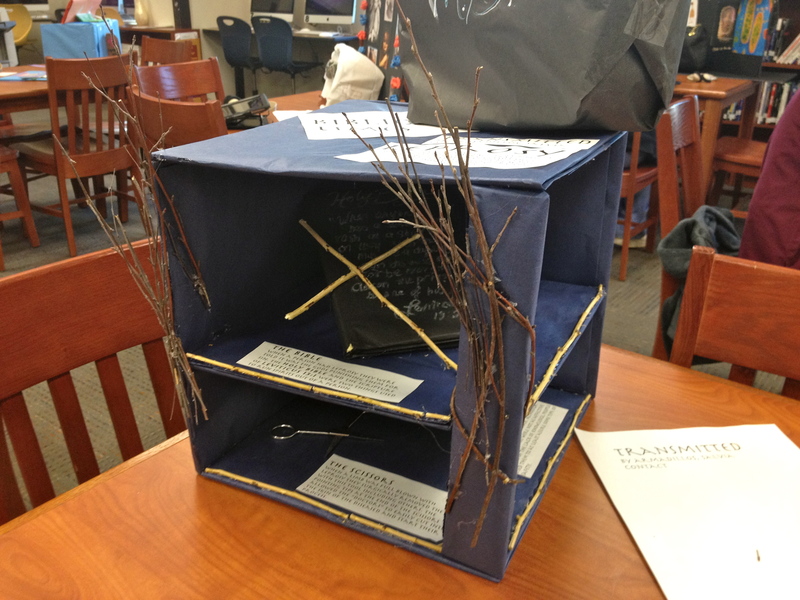 One of the other benefits of giving students freedom to create in the classroom, is that they often create products that are far beyond what you, as the teacher, envisioned. Students are so much more intelligence and creativity then we ever give them credit for. Once given the opportunity, however, they can do amazing things. 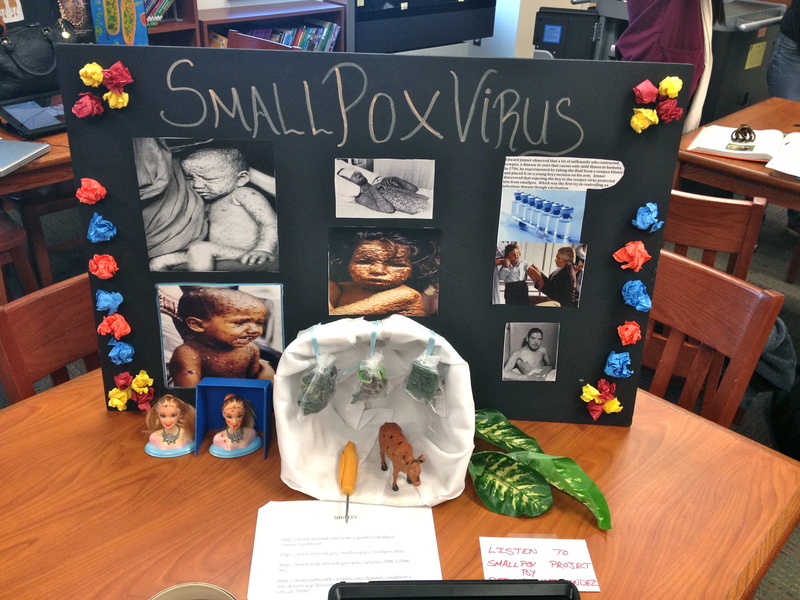 This possibility of excellence was fully on display during their last project. 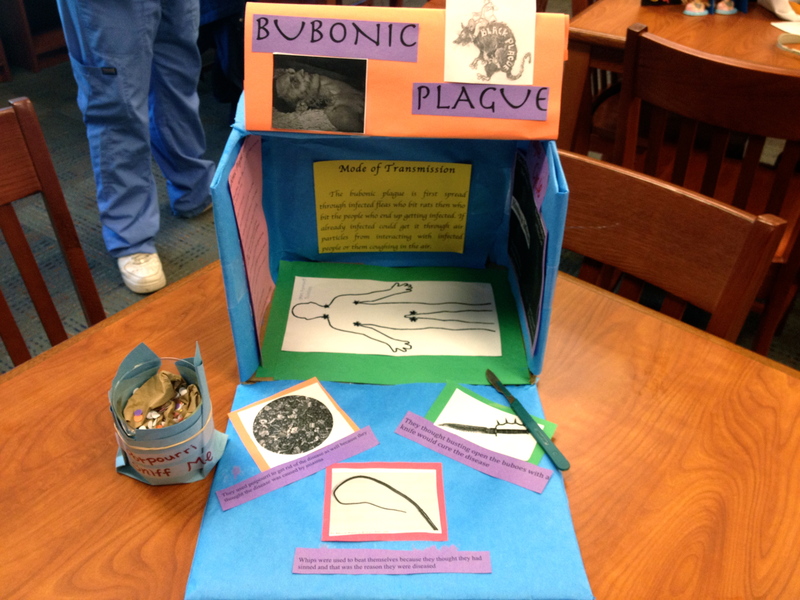 We were investigating methods that doctors used to treat disease before modern medicine. 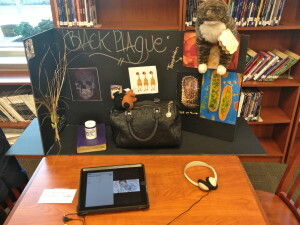 Students were asked to create a "museum display" of tools that a doctor would have used accompanied by an audio podcast that explains their display. Ultimately, the students' work spent a couple of days on display in the Cybrary of the school. The intent of the remainder of this post is to display the students' work. First, we set the stage with a week in review post by Imani Harris. Then we move along to the students work. I hope you enjoy their creations. This week in Public Health has been busy busy busy. We’ve all been preparing for the due date of our Tools of the Trade project. 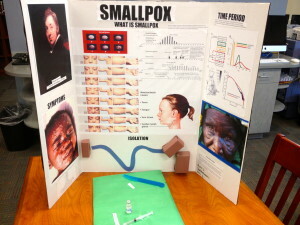 We were allowed to choose from smallpox, bubonic plague, and leprosy to conduct research on and to build a display.We had to include tools that were used by physicians centuries and centuries ago. 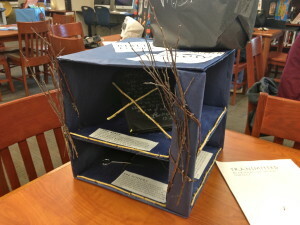 Our projects are displayed in the school cybrary for everyone to see so everyone put in a little more effort to make their display perfect. With all of the project stress now gone, our class is ending the week with the start of a new unit.